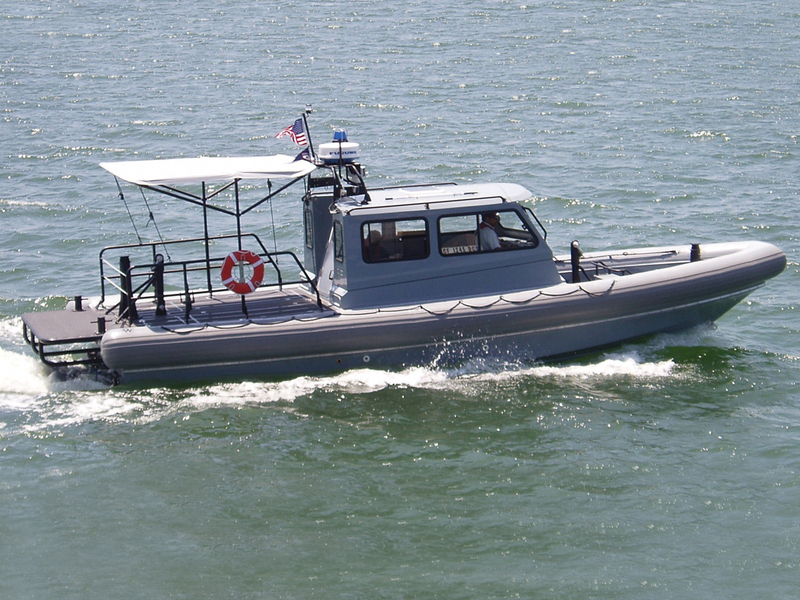 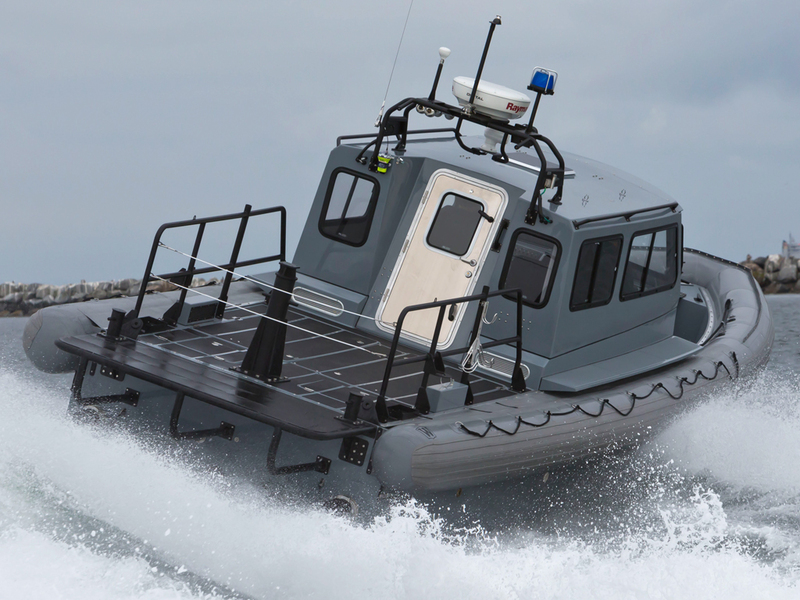 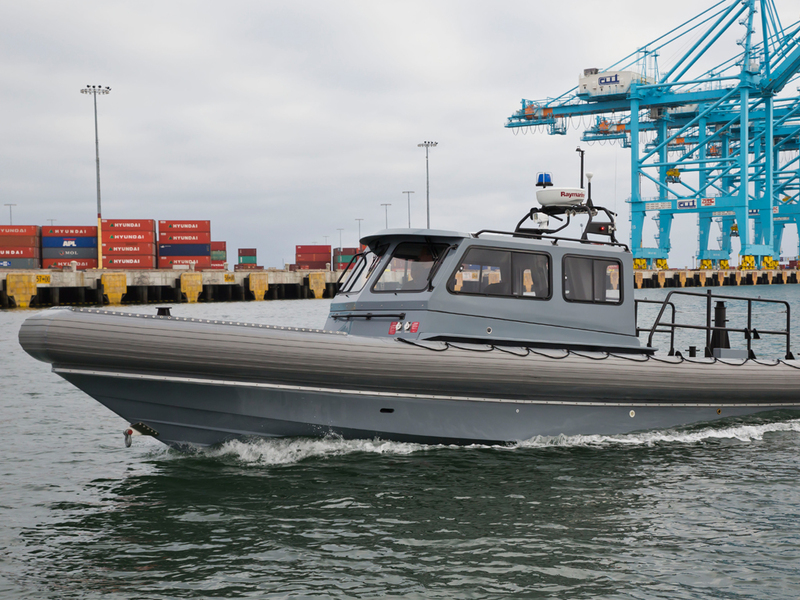 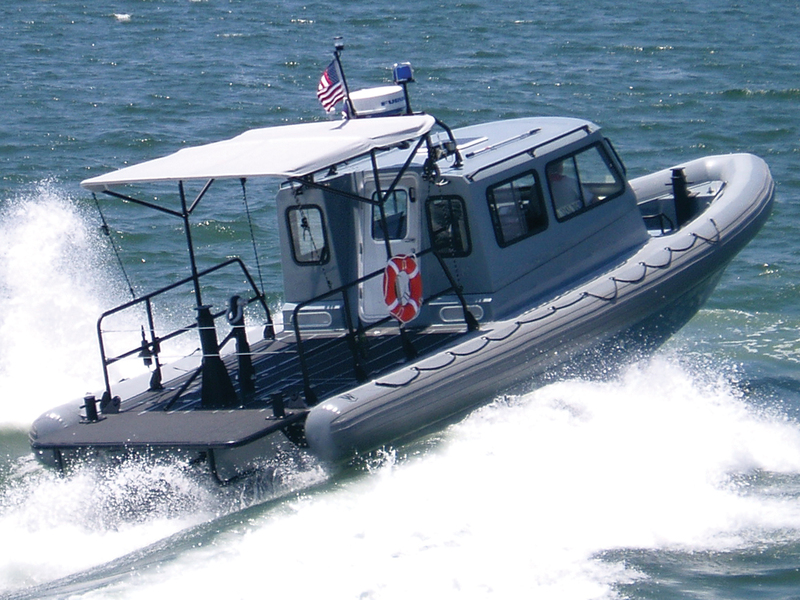 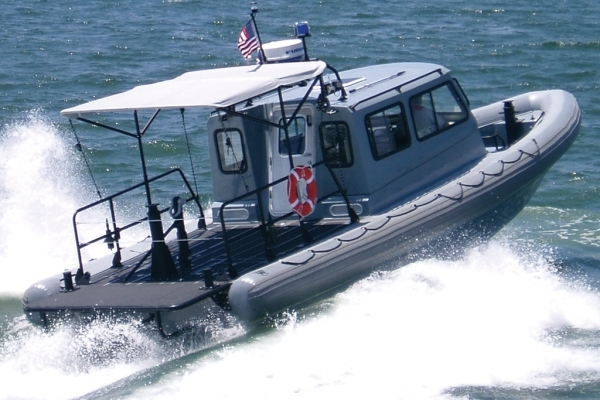 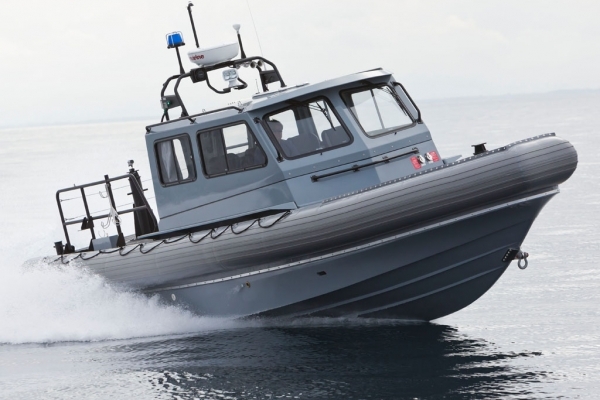 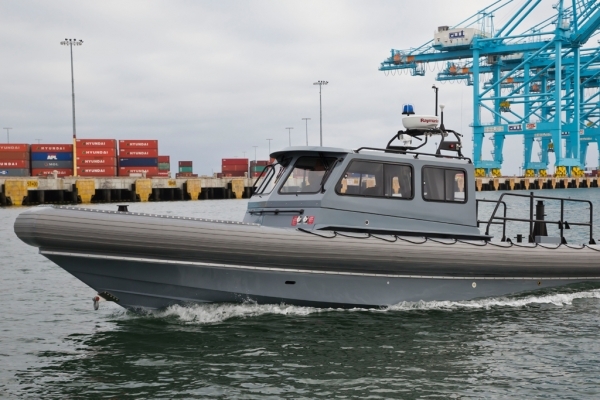 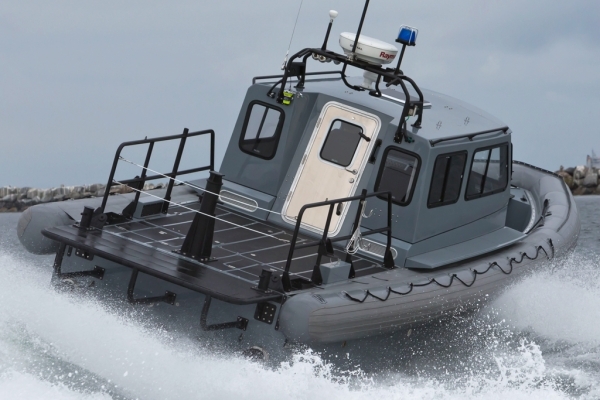 Built to U.S. Navy Standards, this is the cabin version of our 11m Standard Navy RIB. 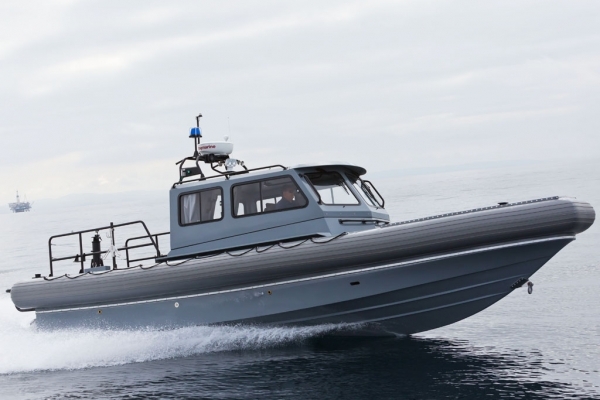 Powered by twin inboard diesel engines and water jets, this RIB comes equipped with air conditioning, heating, interior ventilation fans, and weathertight sliding port and starboard screen windows. 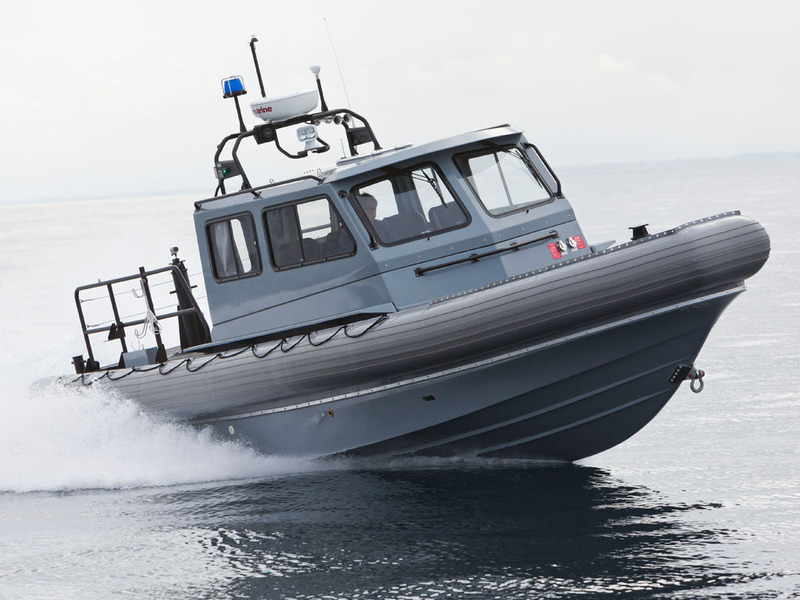 While very fast, this boat is comfortable for crew, offering protection during long patrols. 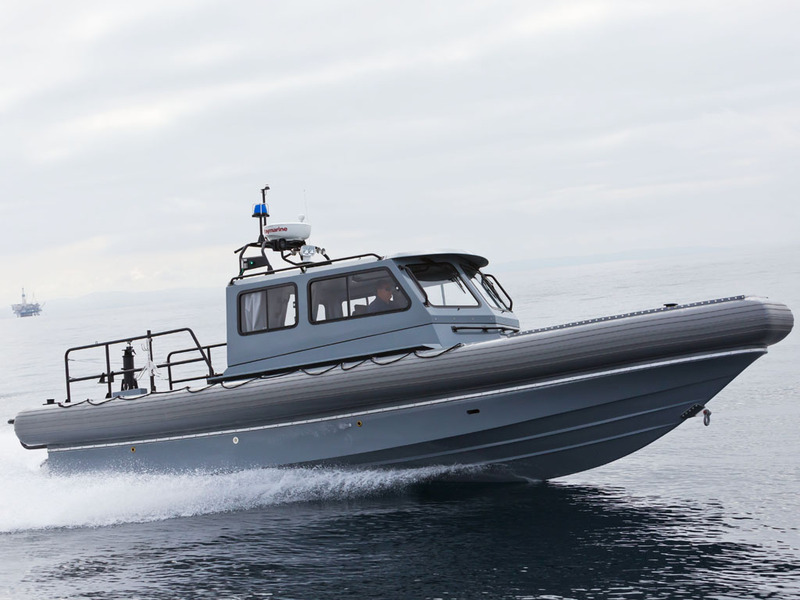 Please contact us for more information about our SEA FORCE® 1100 Cabin and other Willard Marine vessels.